The high-street might be awash with those £10 per month gyms, but figures have been released which show that the average gym-goer in Britain will spend no less than £38 per month on their facility. Considering the fact that 38% of the whole country are thought to have memberships, it goes without saying that a lot of money is being ploughed into this industry – perhaps unwisely. For some people, the thought of grabbing a Costa latte after their workout will make shelling out an extra tenner a month completely worthwhile. However, in the current economic climate, a lot of us realise that the no-frills approach is completely the way to go in a bid to stay in the black. Bearing the above in mind, what are the best ways to slash that £456 and save money on working out? We’ve already touched upon it, but it’s worth mentioning again. If you can do without your Costa latte, aren’t too bothered about a swimming pool – just take a chance on one of the budget gyms. They’ll absolutely slash your fees and rather than forking out almost £500 for your annual membership, you’ll be looking at closer to £150. Despite the economic climate, some people will always require their Olympic-size swimming pool. If you happen to fall into this category, it’s worth mentioning that you should not always accept the first price that you’re handed. A lot of gyms will advertise packages starting at £60 per month, but in reality, few members actually pay for it. The sales teams are given strict targets and if you visit at the right time, you will be offered discounts. At times, it might be a reduction in the joining fee, but on other occasions you again might be able to shave considerable figures from your monthly charge. This next tip probably isn’t going to be applicable to the hard-hitting gym-goer, but for everyone else it will wipe out that £456 completely. With competition in the fitness industry reaching peak levels, gyms are keen to offer as many enticing offers as their coffers will allow. A lot of the time this revolves around free gym passes, with some brands even offering ones that last as long as seven days. As such, if you can mix and match these, you might be able to carry out all of your gym activities for absolutely nothing for several months at least. This final suggestion can be regarded as an investment and if you are serious about your workout aims, it could be viable. 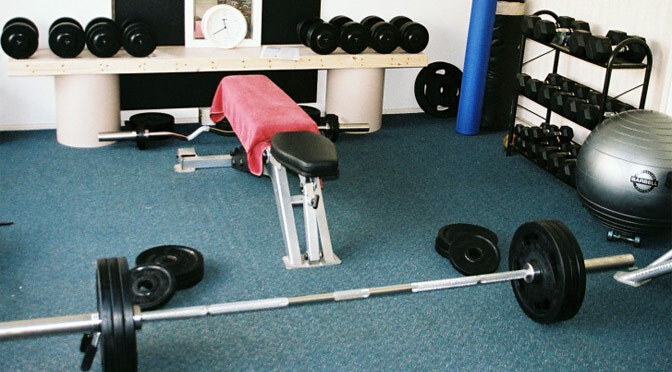 Admittedly, you’ll need to have the resources to pay an upfront figure, but kitting out your home gym no longer has to be a bank account-crippling exercise. Once upon a time, it was only the premium brands that stocked such apparatus and it wouldn’t be uncommon to spend several hundred pounds on one piece of equipment. Nowadays, the industry has become much more competitive and with companies such as Lonsdale releasing 2-in-1 devices for SportsDirect.com, it means that it’s easy to kit out your home gym for significantly less than that famous £456 we keep banging on about. It’s possible to buy a device which combines a cross trainer and exercise bike, a weight bench, dumbbells and an exercise ball for considerably less than half of that figure – which highlights how much power can be held in the home gym. It won’t be for everyone, and others may just prefer to haggle until their heart’s content at the premium gym, but for those that want to put an end to monthly fees it could be something that’s worth considering.